Then part out a few sections with the hair you left out. We made zig zag parts between the sections just for fun. 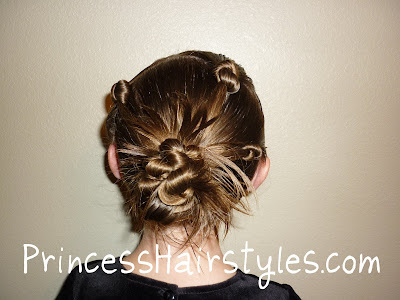 Tie some knots and add the ends in with the ponytail to keep them secure. If you have long hair, it works better to make knots in the entire ponytail instead of leaving some hair out like we did in this short hair version. And then instead of leaving the ends out to spike, you could curl them if you wanted for a more elegant and less messy look. I love that! You amaze me with all of your ideas. Thank you so much for taking the time to share your creativity! This is super cute! Are the knots tough to get out at the end of the day? @aestril thank you! And no, the knots slip right out easily. They are especially easy to get out if you make thicker knots. Sometimes the super thin ones can get a little tight. Very cute! I can't wait to try it! Thanks for all of the fun ideas! What a neat idea! Super cute! Thank you for sharing with us! I love this hairstyle. My daughter has really, REALLY long hair so I may do it up a bit differently. I'll let you know if it works! I was wondering if you will be doing another African American Hair Day and if so when? I really liked all those styles, they were so creative and looked really cute on my daughter. I have used so many of your styles! Thanks for the new ideas! Totally cool!!! 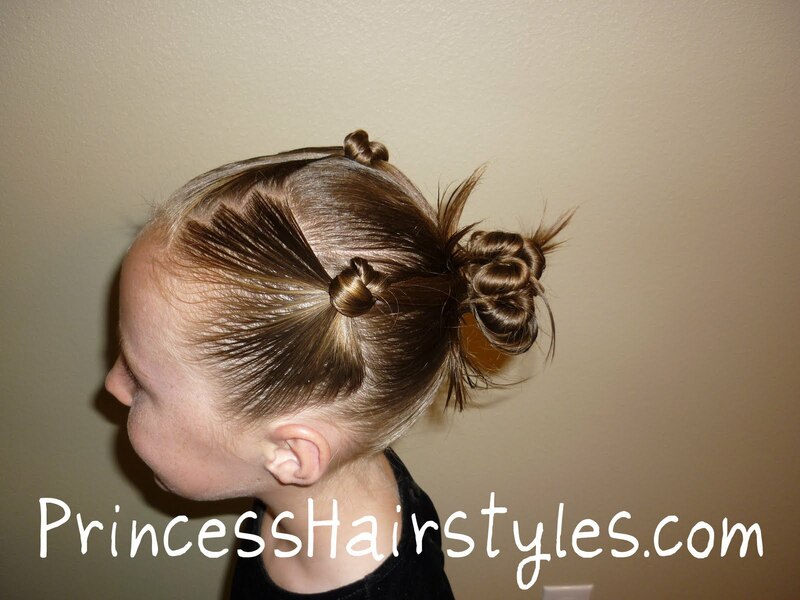 I love it and must try this on my daughter, thanks! 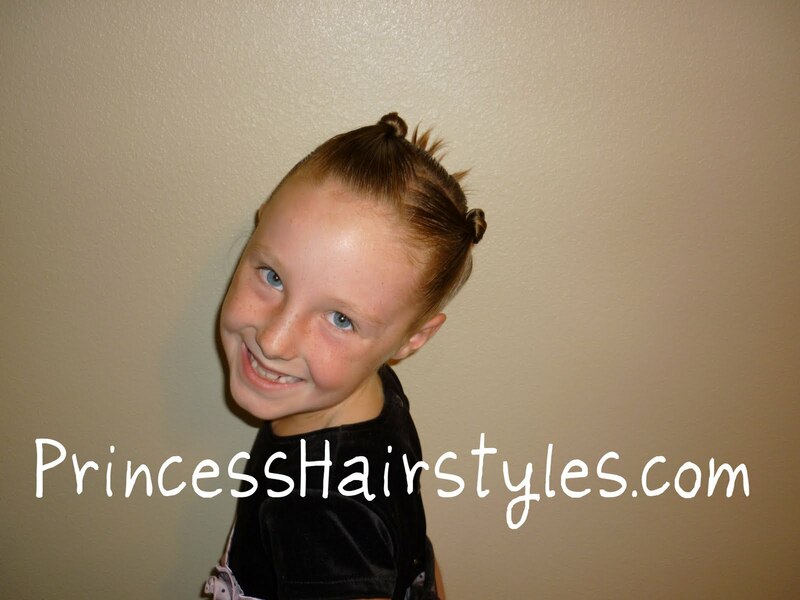 You have so many cool ideas for hairstyles! I like! Hopefully someday my little girl with have hair and I can have fun with it! You just amaze me with all these hairstyles. I cannot wait for Zoe to have more hair so I can do something more! I'll be coming here when it finally grows lol. 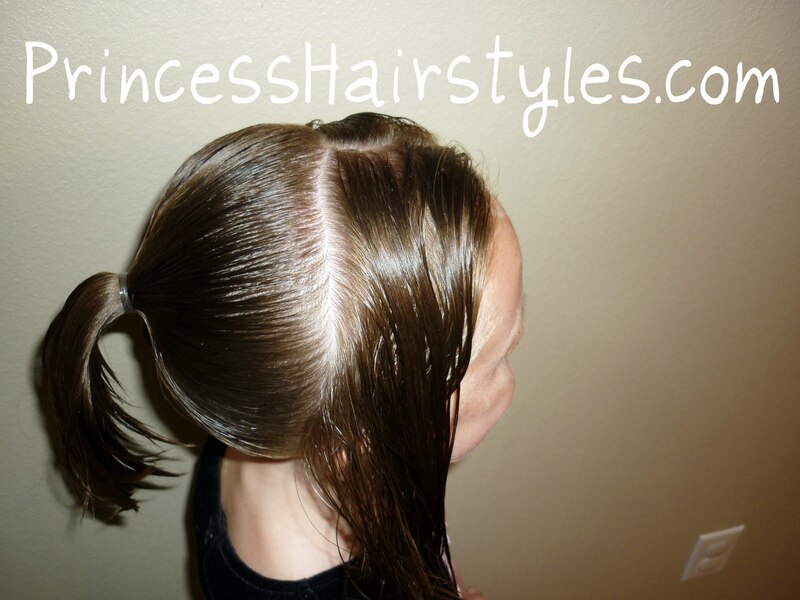 Your blog makes me really wish I had a little girl! I love coming to your blog and seeing all these great hairstyles...I sorta get to live vicariously through your blog since I don't have a little girl of my own to style on. Wow, I'm not sure my daughter will every have enough hair to do that one. omgosh, do you know how many moms would be saved from tears on the mornings of dance recitals if they knew how to do this? I love this one! I wish I could do it on myself. I'll be linking to this. I am having a hard time getting the knots to hold. Do you recommend using spray gel or something in the hair first?